Karen migrated to the Northwest as a young adult from Montana. She received her Associate degree in nursing from Lower Columbia College, her Bachelor degree from University of the State of New York, and her Master of Science degree in Nursing from the University of Portland. In addition to working part-time at Kirkpatrick Family Care as an adult registered nurse practitioner (ARNP), Karen is Dean of Instruction/Director of Nursing Programs at Lower Columbia College (LCC). Karen’s professional experience includes adult health, nursing education, hospice, long-term care, as well as serving as a leader for several medical teams to Honduras. Karen and her husband Troy live Castle Rock with their horses and garden. 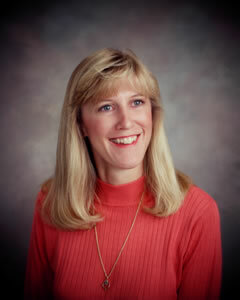 Karen joined Kirkpatrick Family Care’s medical group in 1996.